Harrison Home Systems is proud to have provided the home automation, entertainment systems and motorized shading for the project, Tazi Ranch, which has been named Colorado Homes & Lifestyles magazine's 2017 Home of the Year. This landmark property, located in the Larkspur area, is truly spectacular both in its natural setting and the beautiful design and construction. The project was designed by Vertical Arts Architecture and built by Shaw Homes. One of the unique aspects of this project for Harrison Home Systems was outfitting the property's multi-building equestrian facilities with network, audio and video systems. The home is equipped with a Savant home automation system and motorized shading from Lutron. 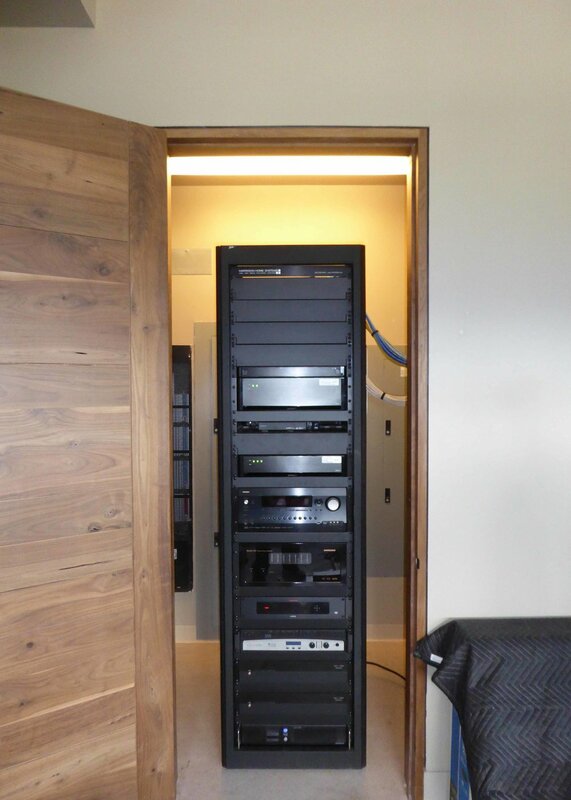 Our very talented field team built this beautiful rack for the project. Older Post"Alexa, turn on the living room."